Start in Lima and end in La Paz! With the overland truck tour Lima to La Paz, you have a 22 day tour package taking you from Lima to La Paz and through Lima, Peru and 16 other destinations in Latin America. 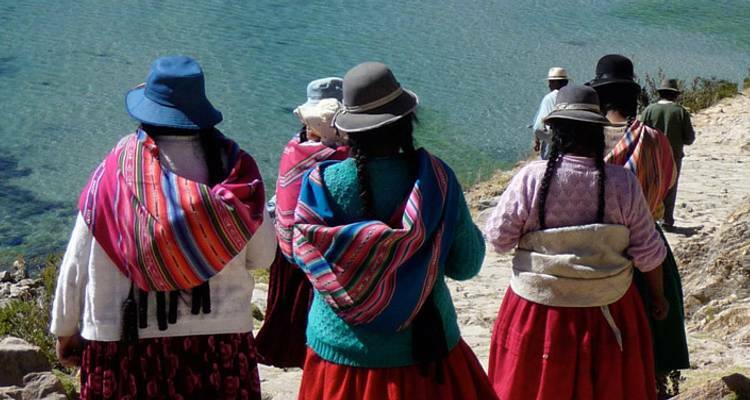 Lima to La Paz includes accommodation in a hotel, hostel and campsites as well as an expert guide, meals, transport and more. An amazing experience, loved the Andes and the Inca Trail was one of the highlights of my life. Don't know the exact date, sorry. Part of best of South America, started in Quito on 21 May. What is the local payment? For Lima to La Paz, intrepid requires a Kitty, which is a cash contribution from all travellers into a central fund which is overseen by fellow travellers and the crew. The fund allows the crew to pay for local accomodations, camp meals and activities for the entire group. The local payment is not paid before the departure, but upon arrival at the tour. Easy to search for that perfect tour, either in variety of tour operators or one operator and then you can use the filters to narrow it down to what you want. Booking is easy as well. Recommended for Peru and Bolivia. Ideally 2 weeks before travel. Recommended for Peru and Bolivia. Ideally 3 months before travel. Recommended for Peru and Bolivia. Ideally 2 months before travel. Recommended for Peru and Bolivia. Ideally 1 month before travel. Recommended for Peru and Bolivia. Ideally 10 days before travel. Lima is the starting point and La Paz is the endpoint. TourRadar only requires a deposit of $99 to confirm this Intrepid Travel booking. The remaining balance is then payable 60 days prior to the departure date. For any tour departing before 22 June 2019 the full payment of $1,728 is necessary. No additional cancellation fees! You can cancel the tour up to 60 days prior to the departure date and you will not need to pay the full amount of $1728 for Lima to La Paz, but the deposit of $99 is non-refundable. Covering a total distance of approx 2,096 km.